Don’t you love to dream of travels near and far? I sure do. It’s no secret, I’m a huge Hilton fan so this latest announcement from Hilton Hotels & Resorts has me pretty excited! They just rolled out a new way for travelers to turn those “bucket list” travel dreams into “let’s do this!” experiences with with their new Our Stage. Your Story. platform. Through a partnership with motivational bestselling author and Emmy Award-winning choreographer Derek Hough, Hilton is encouraging people to move from dreaming to actually creating their own next great travel story, using tools provided on the online hub OurStageYourStory.com. Want to build YOUR story? It’s easy. Just go here to the Our Stage. Your Story website and start building YOUR dream travel experience. You can see my story above. I love it. In fact, I printed it out to hang above my desk because I work hard. I work hard for things like travel. Moments and memories that I can share with those that I love. 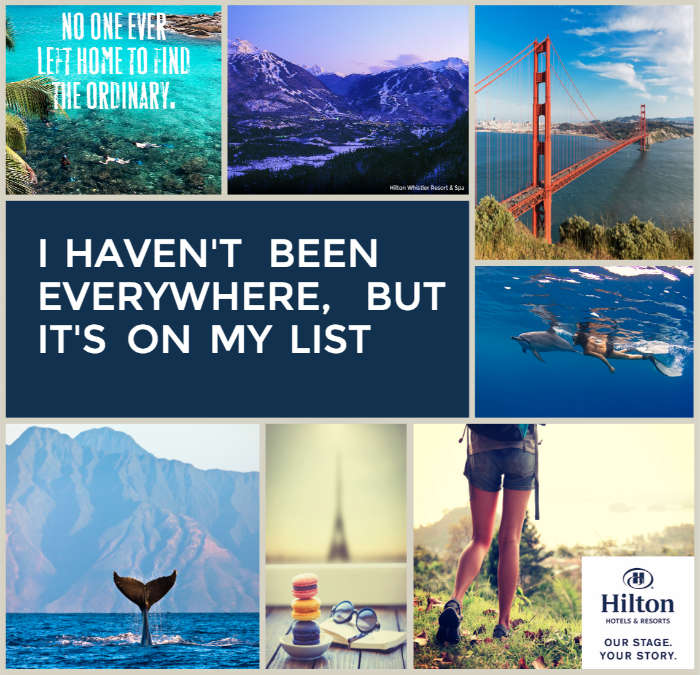 Starting March 18, users who create their vision board at www.OurStageYourStory.com will be invited to share it on Hilton’s social channels for the chance to get one step closer to making their dream vacation a reality. I am a proud member of the Hilton Mom Voyage travel writer team! I love to travel with my family and if you do too, then you will want to check out all of the adventures and great travel tips that the Hilton Mom Voyage team has to offer. This is a team of moms (and dads!) that share their family travel experiences from all over the globe. 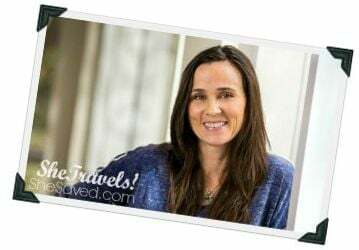 Read about my fellow Hilton Mom Voyage writers here and don’t forget to bookmark the page for the next time that you need travel advice and/or ideas. My fellow traveling Hilton parents are in the know when it comes to the very best travel tips and perks for your family adventures around the globe!